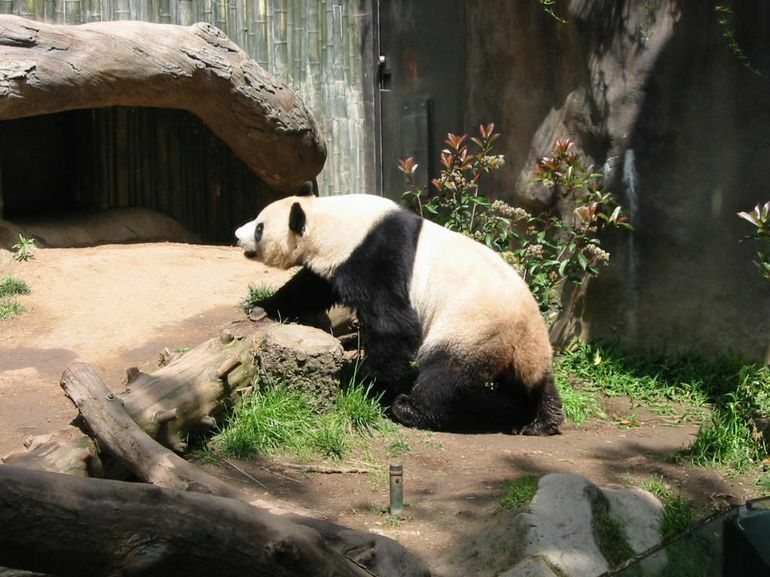 The San Diego Zoo is one of the most popular attractions in San Diego. Transportation from local hotels and admission to the zoo is included with this package. There are exhibits and activities for all ages as well as special events held during the year. Guests can view animals from across the globe in one day by visiting all of the exhibits at the zoo. There are thousands of animals that include pandas, giraffes, zebras, and lions. Each animal has its own exhibit and is allowed to freely walk around. Guests aren't encouraged to feed the animals. However, they can take pictures of any of the exhibits in the zoo. 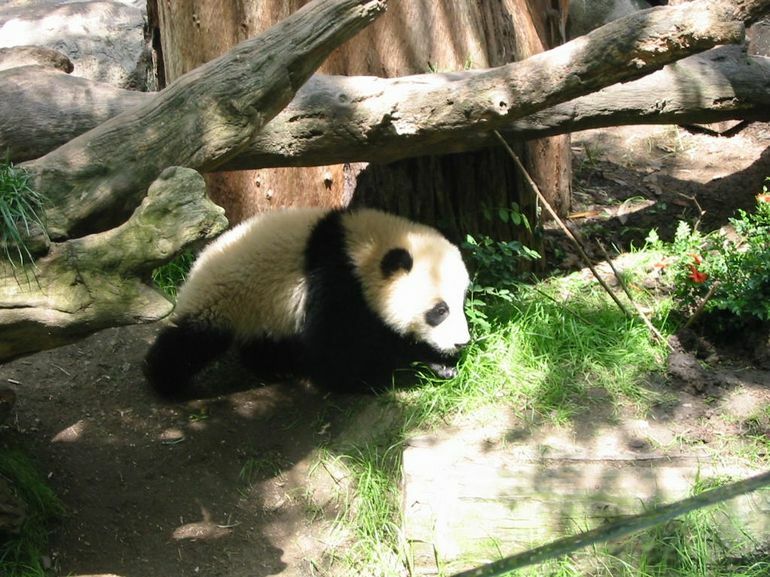 Zhen Zhen is the newest member of the panda family and is on display for guests to see. The zoo has one of the largest African exhibits in the country. There are various snakes as well as a pygmy hippo. Guests will also see a variety of monkeys on the Monkey Trail. A guided bus tour is available for guests who don't want to walk around the entire park. However, the bus doesn't visit every exhibit. An aerial tram offers a unique view of the zoo. This is a fun way for guests to relax after walking and a way to see the layout of the zoo. People who like to see animals will enjoy the San Diego Zoo. Various modes of transportation are available in the zoo and from different hotels in the city in order to get to the attraction. Guests can get something to eat as well as a souvenir before going home. With literally thousands of wild animals including many on the endangered species list, its no wonder that San Diego Zoo is world-famous. 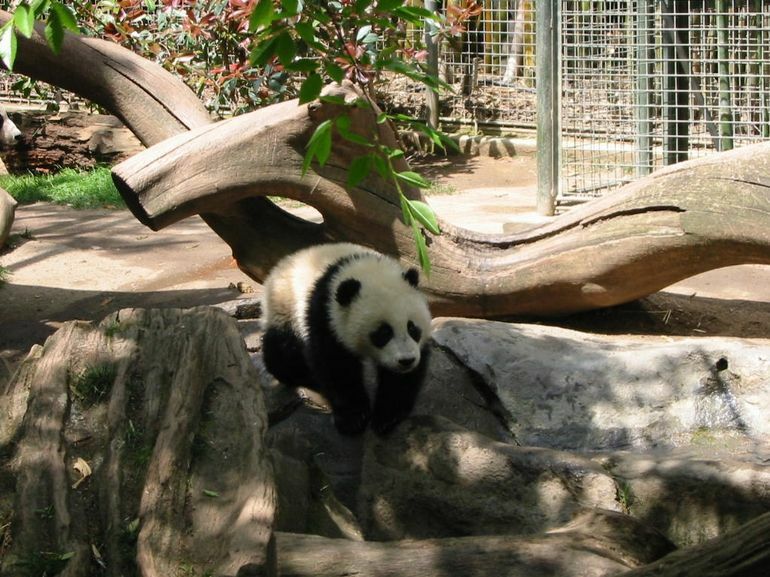 Meet Zhen Zhen, the newest addition to the panda family, and the fourth baby panda born at the San Diego Zoo. Swing by the Zoo's newest attraction, Monkey Trails to journey into the depths of a tropical rainforest. In addition to a variety of monkeys, you will also see the rare pygmy hippo, venomous snakes and clouded leopards. Only need transportation? Transportation without admission is also available.